Post Tagged with: "Crewe & Nantwich"
Young Crewe and Nantwich rugby players helped raise thousands of pounds to show support for a team-mate battling with a life-threatening condition. Jacob Wilson, from Nantwich and a member of Crewe & Nantwich RUFC’s U16s, fell ill last season with kidney failure and was rushed to hospital. Crewe & Nantwich RUFC officials have heaped praise on a local healthcare firm for its hands-on support during one of the most memorable seasons on record. The 1st team finished runners up in the highly-competitive Midlands Two West (North) league after a hard-fought play-off at Malvern. Crewe and Nantwich RUFC’s in-form ladies team are gunning for top spot this weekend when they take on Carlisle. The ladies have powered their way up to second place in the North West 1 league with some fine performances at home and on the road. Young Crewe and Nantwich athletes excelled at the North West sportshall finals for U13s and U15s. Twenty-one athletes from Crewe & Nantwich AC represented Cheshire as they competed against Greater Manchester, Cumbria, Merseyside and Lancashire. Former Crewe & Nantwich RUFC twins Ben and Tom Curry have signed deals with Sale Sharks, the club has confirmed. The brothers have been in the Sharks Academy since the age of 14 after playing at the Vagrants throughout their younger years. Crewe & Nantwich RUFC paid the price for conceding penalties as they were beaten 23-21 by Hereford. The Vagrants side started in a similar manner to the previous two games against Worcester and Dudley by conceding a string of penalties. Young Crewe & Nantwich athletes stormed to success in the Cheshire Cross Country Championships at Reasheath. Crewe & Nantwich AC entered 44 runners from Under 11s to seniors – and the young stars led the way with medals and trophies. Crewe & Nantwich 1sts triumphed 7-5 in a hotly contested match against local rivals Whitchurch for a fourth consecutive league win. Crewe won an attritional battle in cold conditions and on a rain-sodden pitch. Crewe & Nantwich RUFC romped to a comfortable 38-18 victory at home to Walsall in Midlands 1 West. And the Vagrants side did it without their two influential Australians, Ben Ham and James Wivell, who had returned home for Christmas. 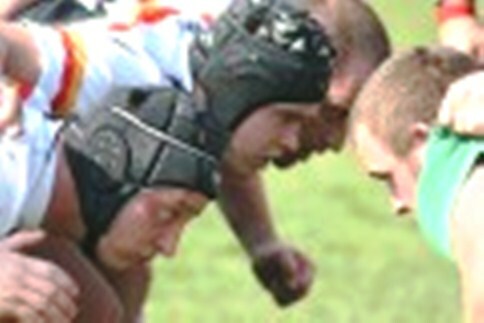 Crewe & Nantwich RUFC 1sts secured a vital away win at local rivals Stoke, 24-16. Kieran Allsop returned at scrum-half for Crewe, Charlie Hutchings moving to the left wing and centre Toby Russell-Vick joining the squad for his debut game. Edward Timpson described his “relief” after being voted back in as MP for Crewe & Nantwich for another five-year term. The Conservative MP won a tightly fought contest by securing 22,445 votes.